Times and locations can change on short notice please click here for up -to- date information. This April in Paris means a sing-along and gouter. Nous vous proposons un programme composé uniquement de spirituels! Please bring something to eat or drink. Singing will begin promptly at 14h30. 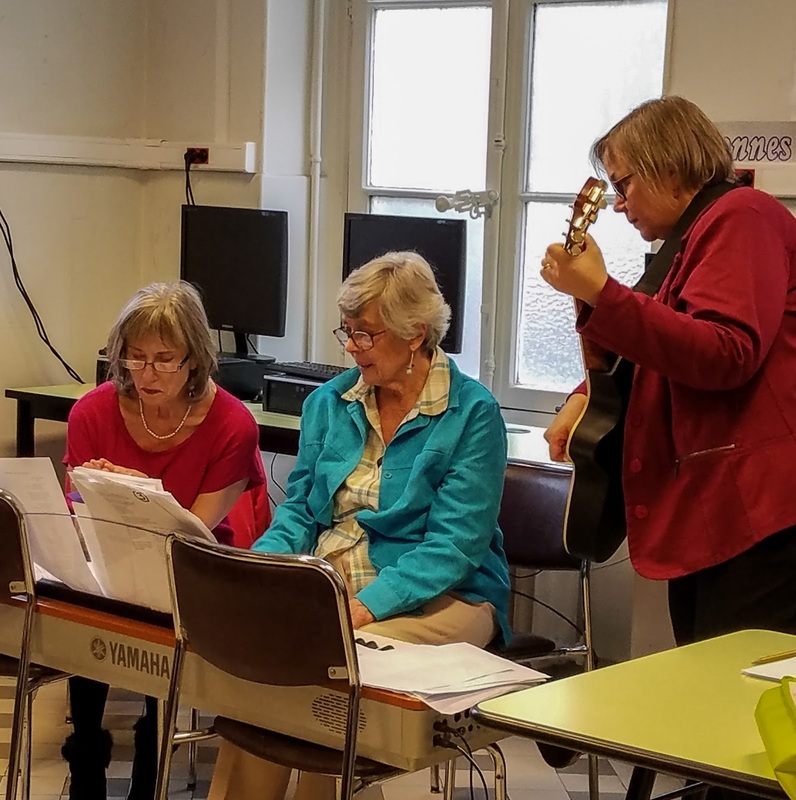 Thanks everyone for making the Sing Along and goûter a friendly event . 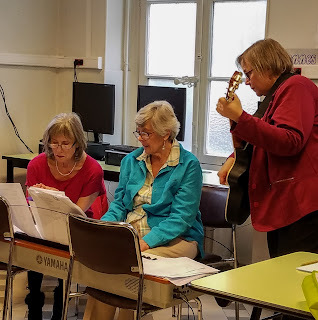 Thank you Anne , Elisabeth and Francoise ( who came kindly to help us ) for managing the Sing Along so wonderfully. The December celebration has long been a honored tradition of the conversation groups. This year the Sing-Along – the Singing part - will start no later than 14:30. Some of the carols are in English, others in French - words are furnished. We ask that you arrive early (at 14h) to deposit your gustatory contribution and to help with the setting up of the room. Please bring something for the gouter, either salé or sucré. We ask that you bring a plate on which to serve it, some utensil with which to serve it , and if it needs cutting up, please do so before you arrive. Or bring a bottle of wine or a bottle of fruit juice. Voici le lien ( https://lavoirmoderneparisien.com/programmations/pour-en-finir/ ) vers la page du théâtre et le descriptif de la pièce. 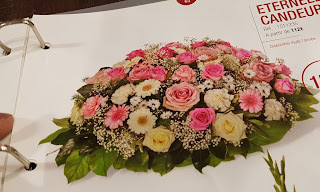 La famille de Marie-Claire a été très touchée des manifestations d’amitié , les fleurs et les dons à Curie et à Pasteur et la présence de certains d’entre nous à l’église . C’était un hommage émouvant de tout notre groupe de conversation à Marie -Claire. Merci à tous. 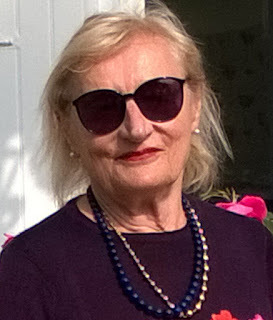 In memory of Marie-Claire Chamboncel, a long-time member of the WICE French-English conversation groups. Afin de rendre hommage à Marie-Claire une cérémonie religieuse est prévue le vendredi 26 octobre à 10h30 à Notre-Dame d’Auteuil. 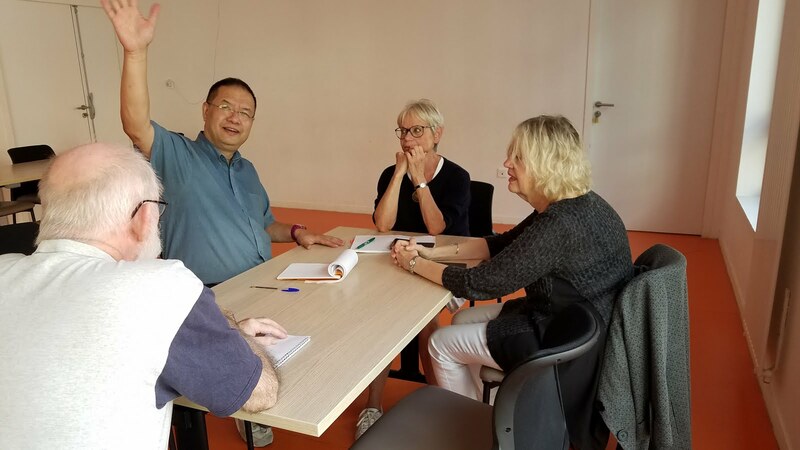 Tuesdays from October 2 - We will be meeting again at the Maison Communale ( 69 rue Violet Paris 75015 - Métro Commerce ) from 15h to 16h30, including the school holidays. 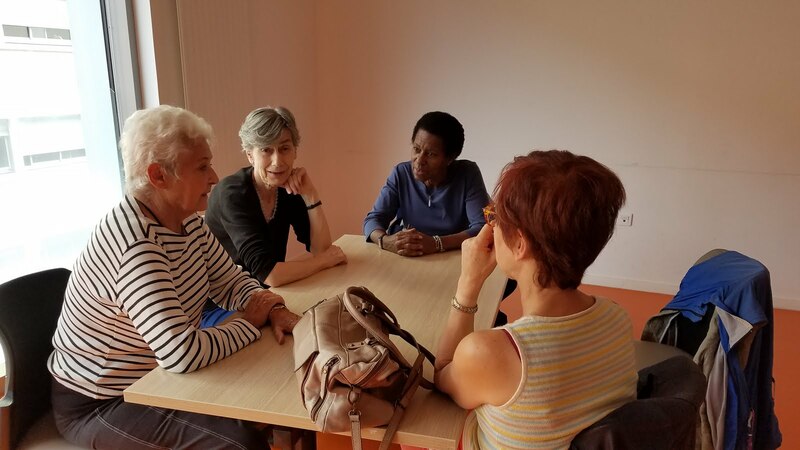 Thursdays from October 11 - We will be resuming the Thursday conversation at the WICE Office ( 10 rue Tiphaine Paris 75015 ) from 18h to 19h30, including school holidays. 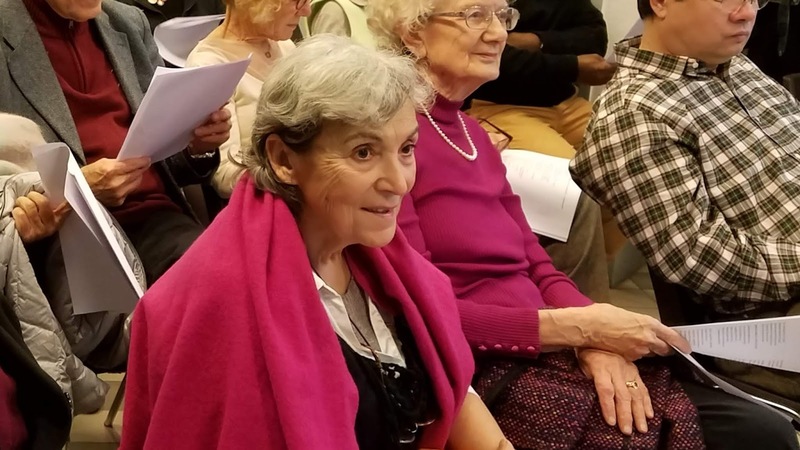 In memory of Julie Baruch, a member of the WICE French-English conversation groups for more than twenty years. In a relaxed, convivial atmosphere, practice your language skills with native speakers. Participation is free with WICE membership. You can try our groups for the first time for free. Conversation is 45 minutes in French and 45 minutes in English in small groups of 5-6 people. Groups select the topics based on their interests and language level. Intermediate level in the non-native language recommended. Native English or French speakers. Book Now for Musical Madness! The International Players' Show This Week!